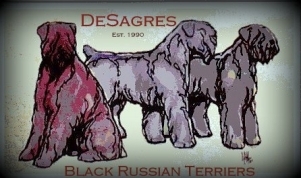 DeSagres Black Russian Terrier Logo. are proud of the dogs we produce!" 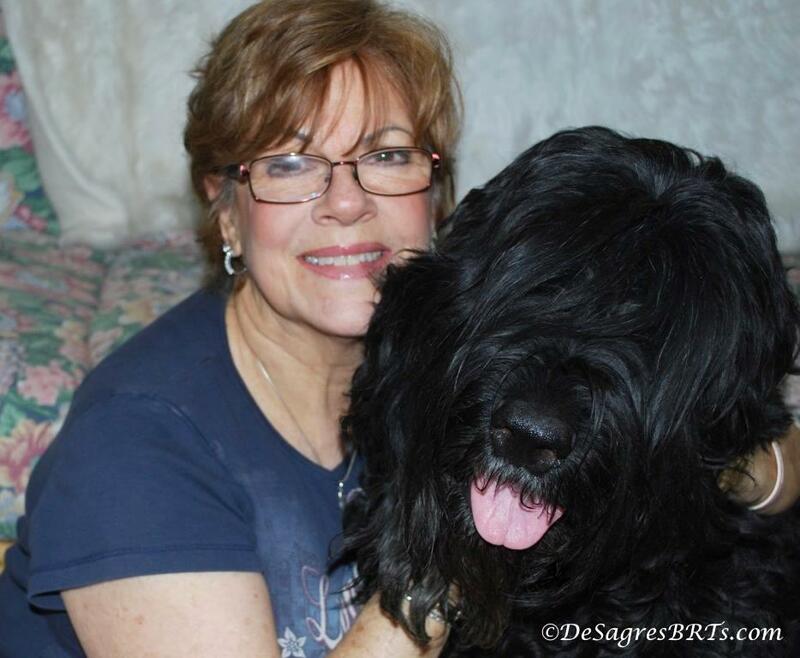 I am available to all of my "DeSagres Puppy Family" for any questions or problems of any kind as always. 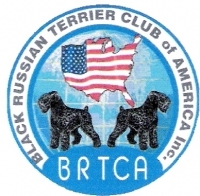 Black Russian Terriers are not inexpensive dogs. 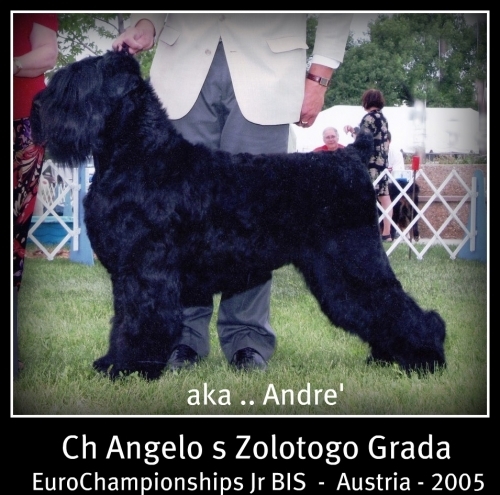 You want a breeder that is totally devoted to the dogs he/she breeds. A breeder who is knowledgeable about the breed, health and temperament of the Black Russian Terrier... And continually does research. 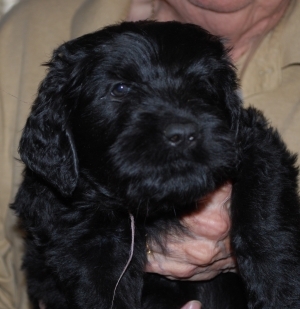 Breeding the Black Russian Terrier is a labor of love for us. We take pride in our study of pedigrees and health of our dogs. Our entire breeding program has been based on these principles. We study each breeding for several months (some times even a year or more) before we make the decision about a breeding. 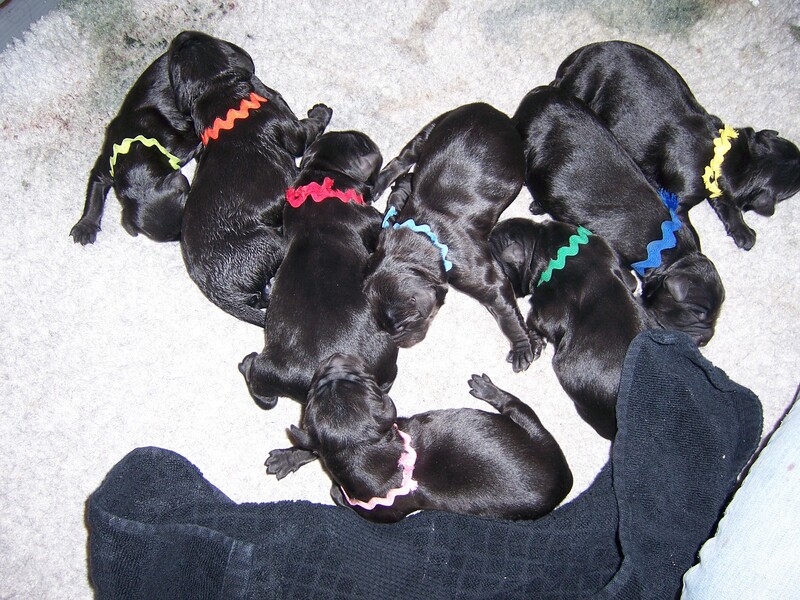 The parents of our puppies are carefully selected and health tested. "Mom" gets a high qualtiy food and the best medical care possible. We typically have one litter a year so our puppies get our undivided attention! 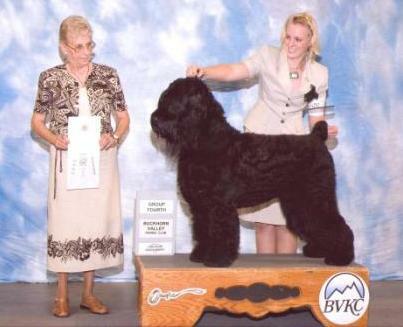 We regularly attend seminars and workshops on k9 health and breeding practices. Breeding isn't an exact science but we do the very best we can with out losing the type of Black Russian Terrier we want to breed. 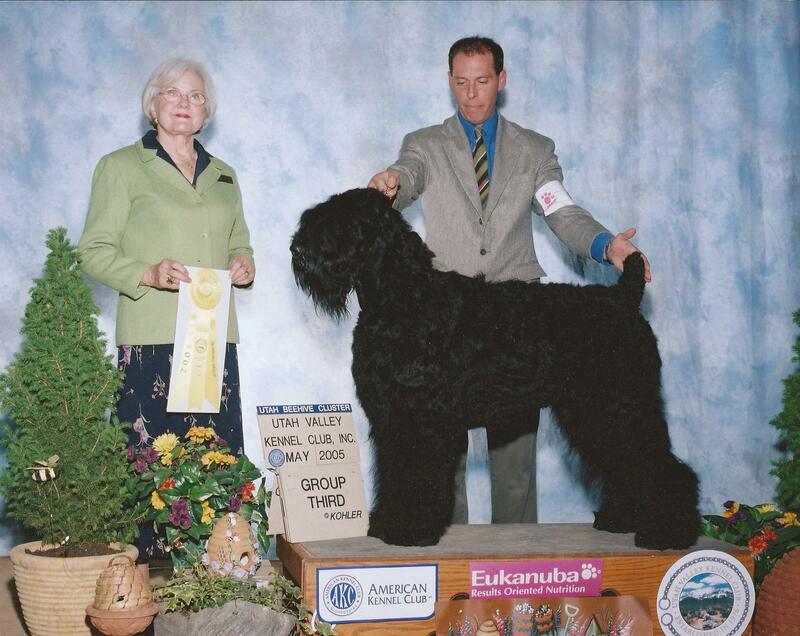 We, also, work tirelessly to match the right dog with the right family or owner. 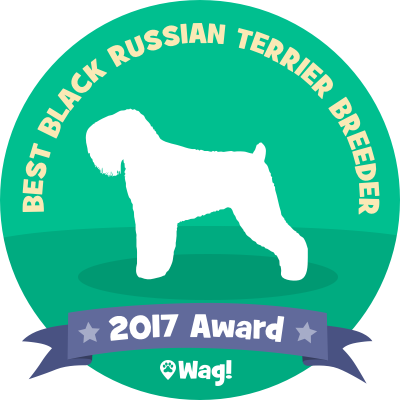 DeSagres Black Russian Terriers based in Denver, CO is a Top 2017 Black Russian Terrier Breeder! Jeanne Rylatt of DeSagres Kennels, has owned and bred many Champions, Group Placing, Group Winning & Best In Show dogs. 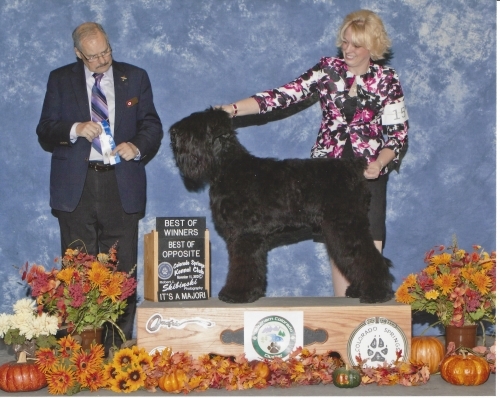 The Rylatt's Dogs have been Specialty winners. Been invited to and attended numerous Westminister Kennel Club Shows. 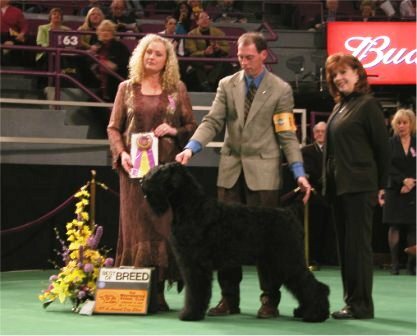 Been ranked #1 in their breed and have been ranked in the top 10 consistently for many years attesting to their conformation and beauty. Many of the dogs bred by DeSagres have obedience, agility, therapy dog, service dog and personal protection titles attesting to their work ethic and temperament. Jeanne is the Co-Owner of Mantayo Kennels and Dog School in Lakewood, CO... A Coach to Clients who are in Animal Related Businesses.....Is very active in BRTCA, UBRTC, MMHKC and CFDC and in the dog community "giving back". easily satisfied with the best." "Ch Hohotushka s Zolotogo Grada"
of Juniors at 2005 European Championships!!! "Ch Angelo s Zolotogo Grada, TT"
Breast Cancer Research & The American Cancer Society.